This example uses data from Kutner (1974, p. 98) to illustrate a two-way analysis of variance. The original data source is Afifi and Azen (1972, p. 166). These statements produce Output 46.3.1 and Output 46.3.2. 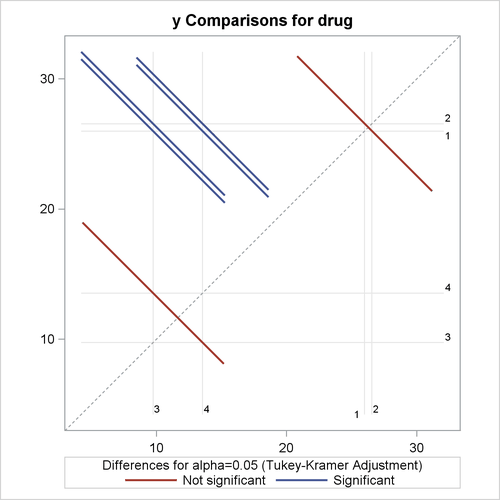 Both the LS-means themselves and a matrix of adjusted p-values for pairwise differences between them are displayed; see Output 46.3.3 and Output 46.3.4. The following statements reproduce the previous analysis with ODS Graphics enabled. Additionally, the PLOTS= MEANPLOT(CL) option specifies that confidence limits for the LS-means should also be displayed in the mean plot. The graphical results are shown in Output 46.3.5 through Output 46.3.7. 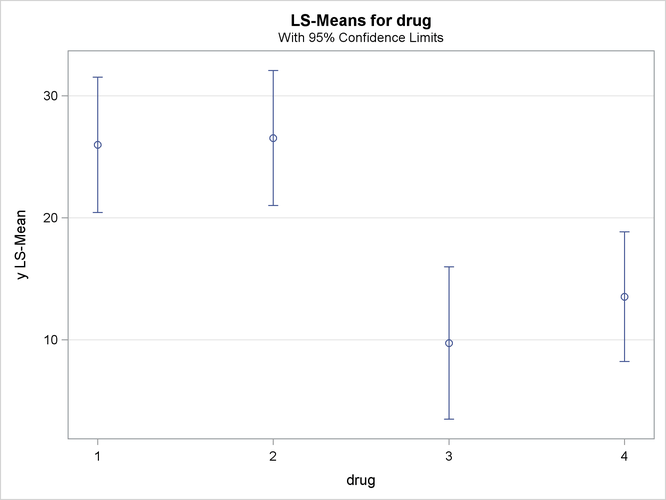 The significance of the drug differences is difficult to discern in the original data, as displayed in Output 46.3.5, but the plot of just the LS-means and their individual confidence limits in Output 46.3.6 makes it clearer. 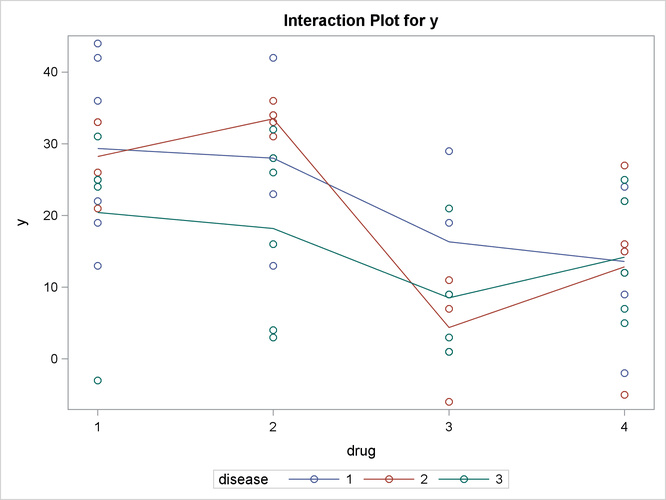 Finally, Output 46.3.7 indicates conclusively that the significance of the effect of drug is due to the difference between the two drug pairs (1, 2) and (3, 4).